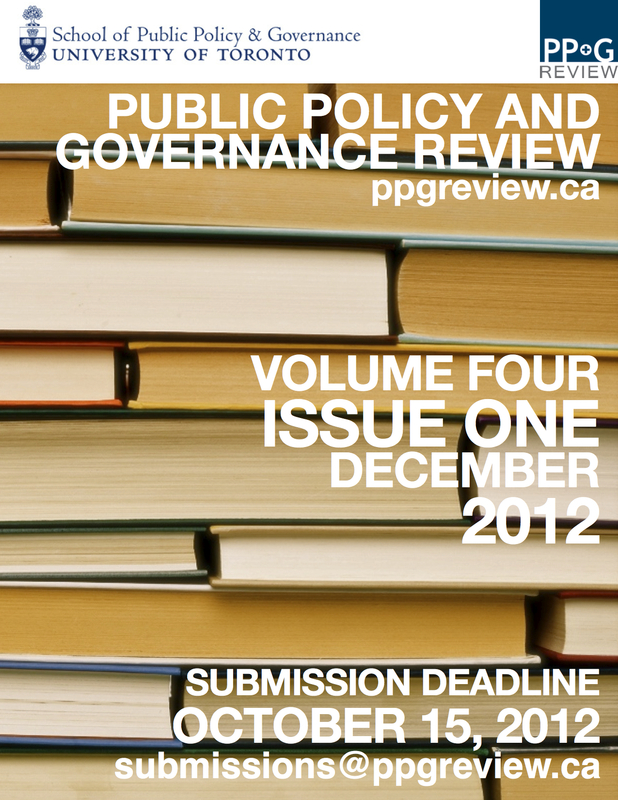 The Public Policy and Governance Review is now accepting submissions for Volume 4, Issue 1. All papers must be submitted by October 15, 2012 for review. Submission details can be found at www.ppgreview.ca/submissions.